Windows Phone 8.1 makes much better use of the Micro SD card expansion. The Nokia Lumia 630 is a no nonsense phone with a no nonsense price tag. It was never going to take on the mighty iPhones or the HTC One M8's of this world but that's not what it's there for. 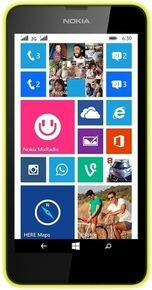 I'd like to take my hat off to Microsoft and Nokia who have built on the success of the Nokia Lumia 520 brilliantly to design and build yet another respectable budget phone in the Nokia Lumia 630. The price will move this device, no doubt. Microsoft has effectively re-branded a device from two years ago (the Snapdragon 400 was slightly behind when it debuted on the Nexus 4) and sold it anew. The hardware breaks no new ground, and our overall takeaway was one of mere acceptance; we didn't love it, but it didn't necessarily leave us shaking our heads at it, either. While we love those new sensor core features for GPS-independent exercise tracking, the Lumia 630 is a tough sell with so many other hardware features lacking (or simply absent). If you’re going to go with a budget Windows Phone, we’d recommend going all the way and looking for a Nokia Lumia 520.